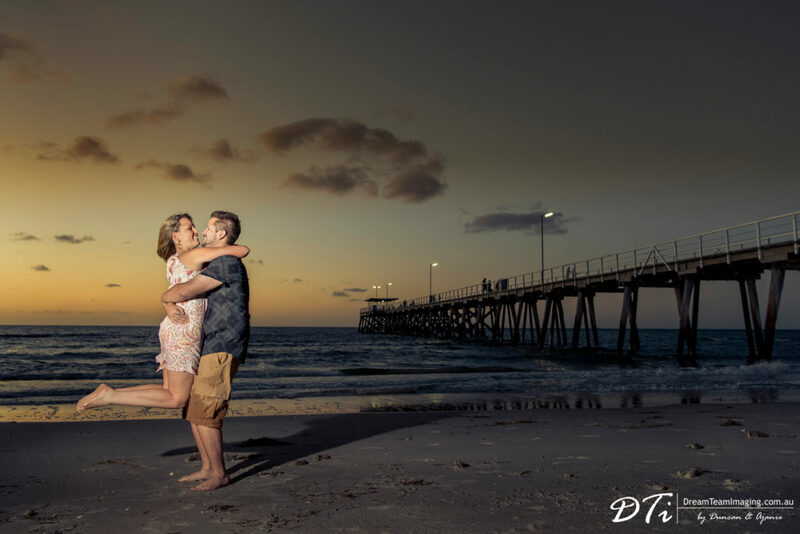 Semaphore and Largs bay were the locations for Erin & Damien’s pre-wedding session which we looked forward to with excitement. 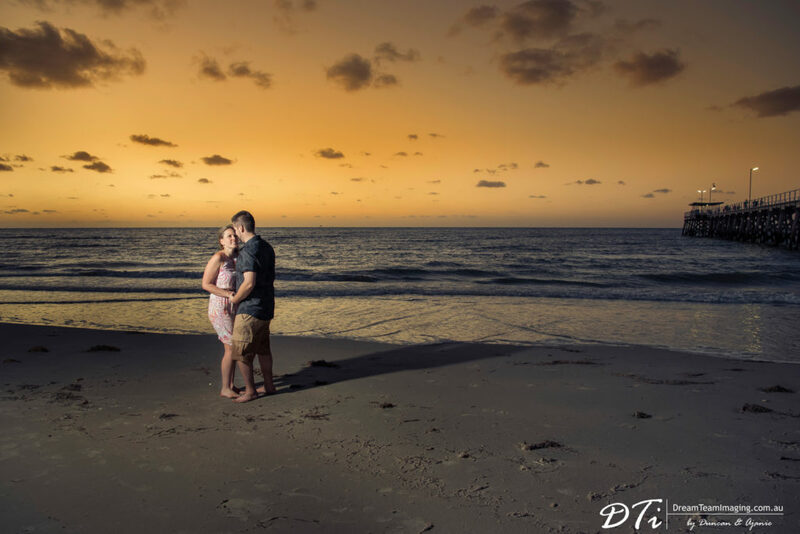 Pre-wedding sessions, to us, are more than just photo shoots. 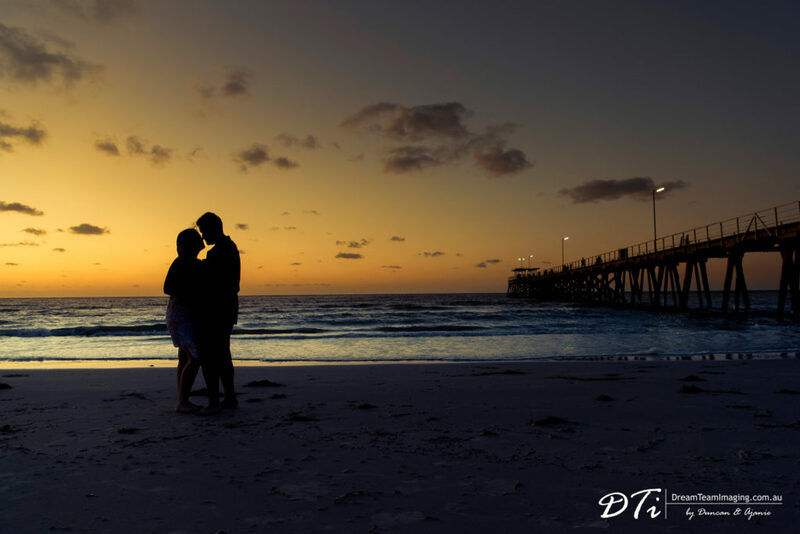 It is an opportunity to spend time with wonderful couples, enjoying their company and getting to know them better. 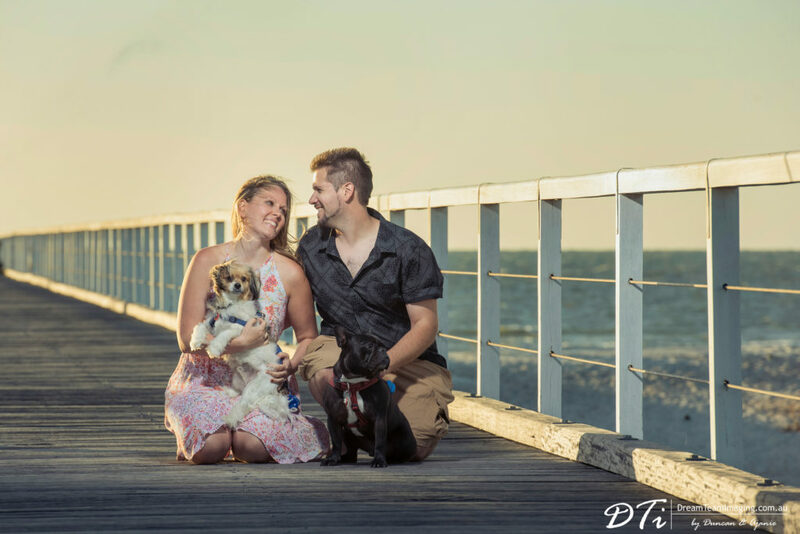 It is also an opportunity for us to make new friends. 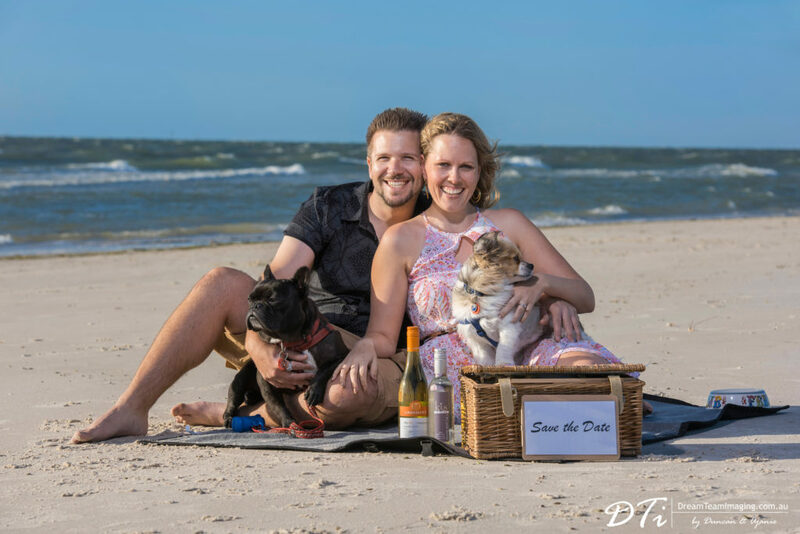 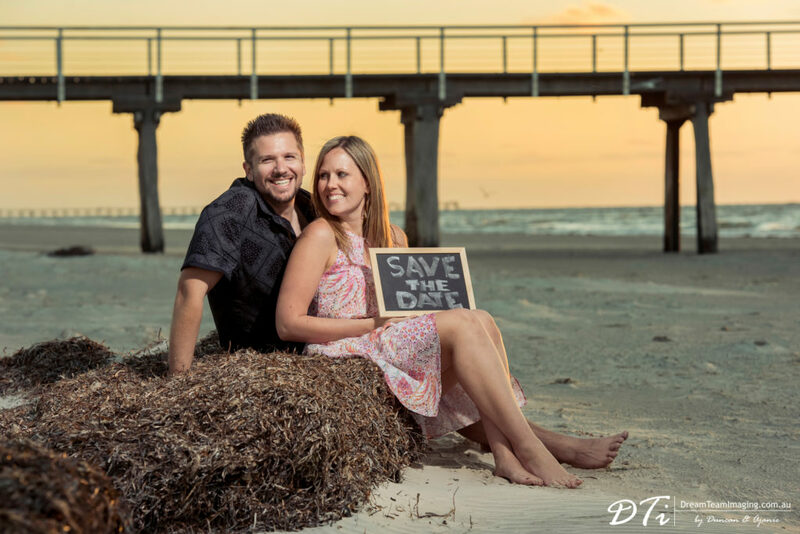 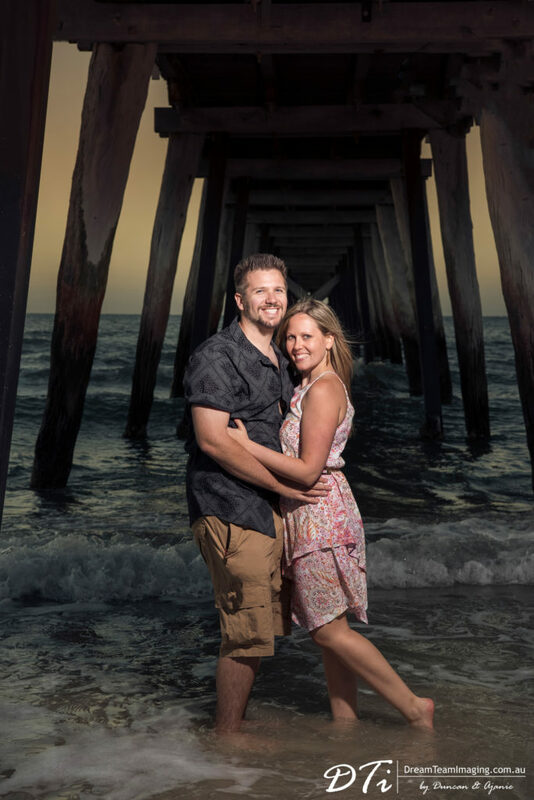 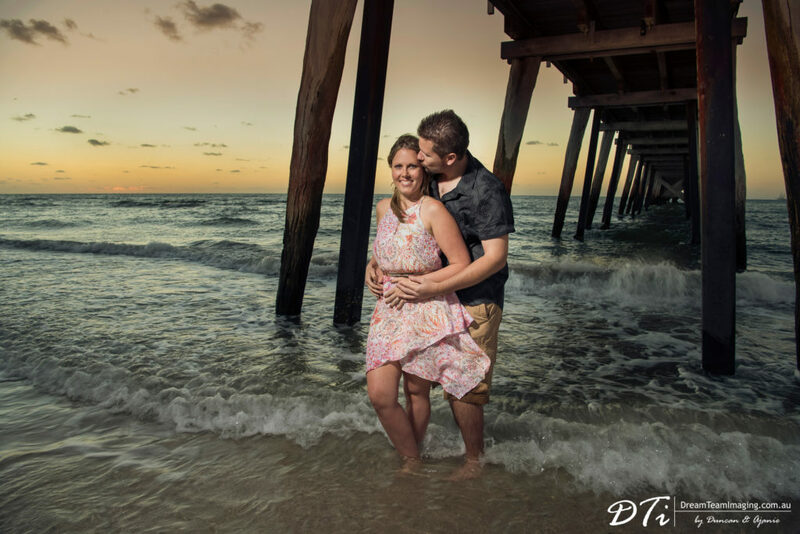 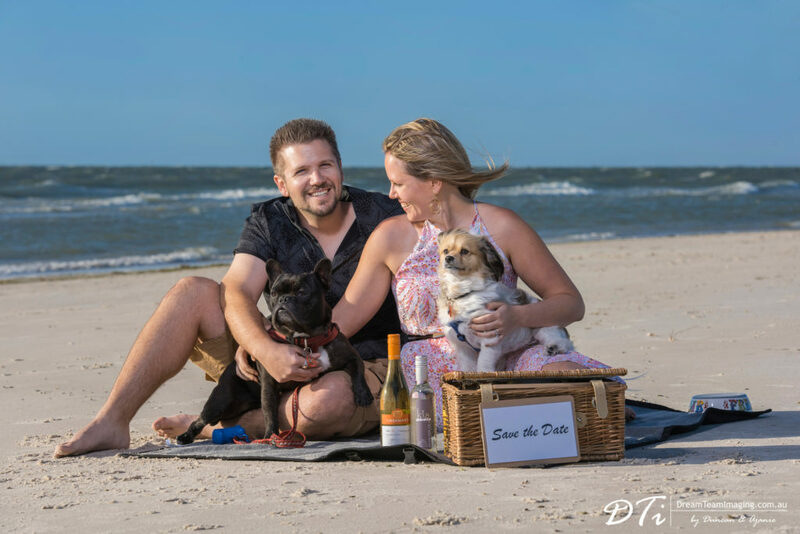 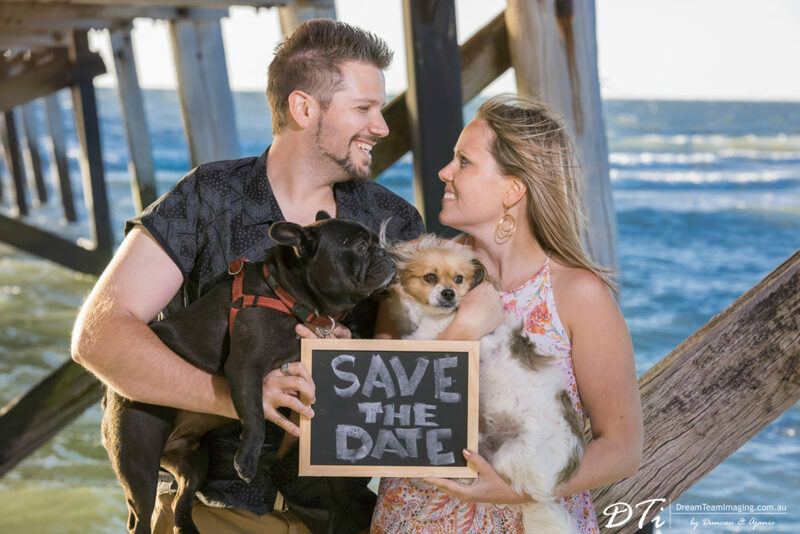 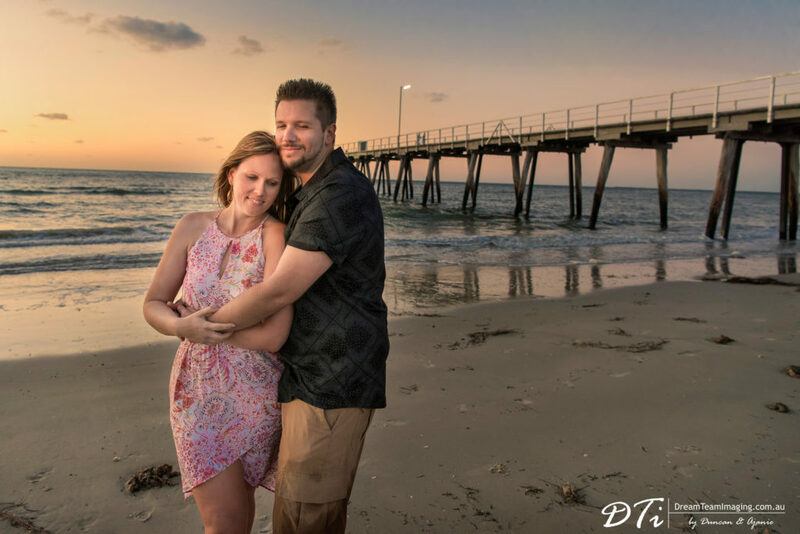 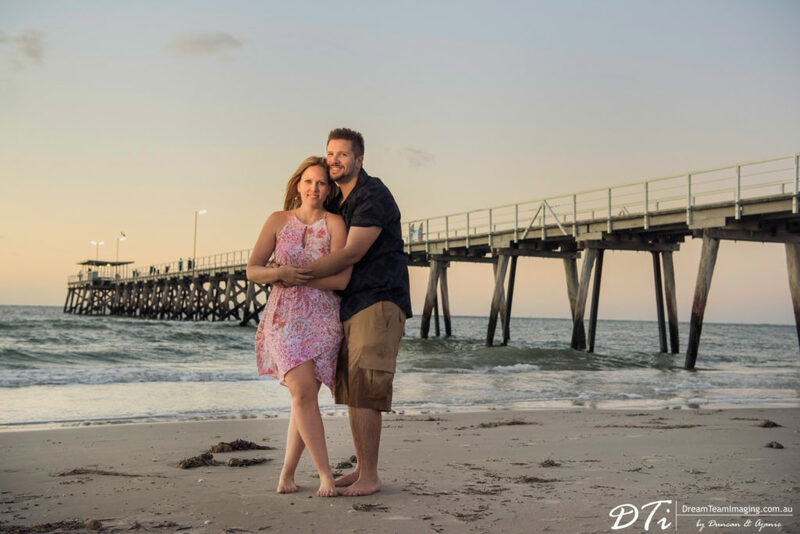 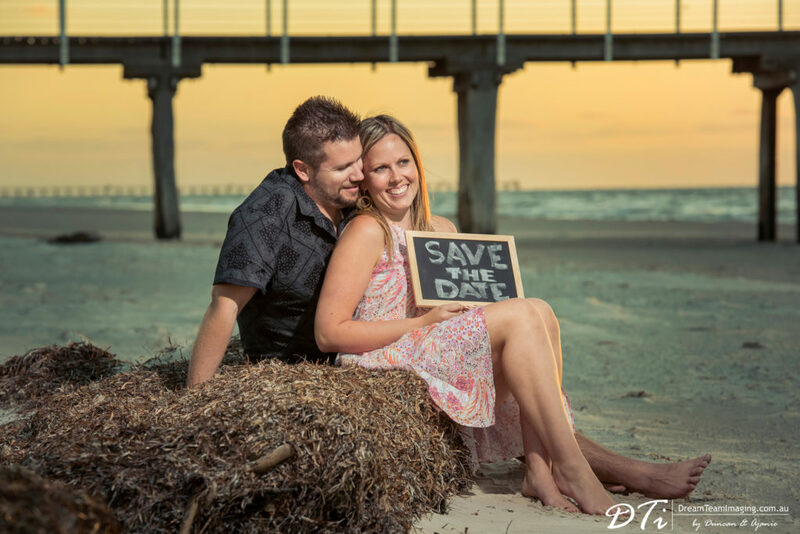 Erin & Damien wanted a beach theme hence the decision to do the shoot at Semaphore and at Largs bay. 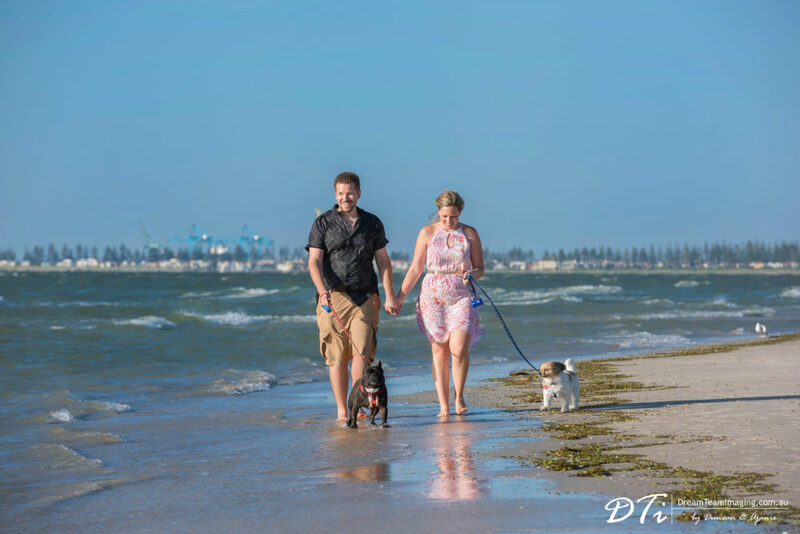 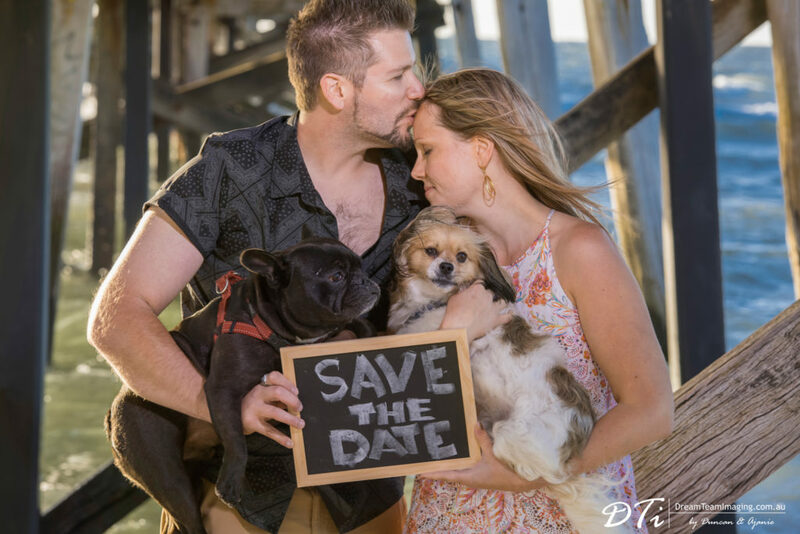 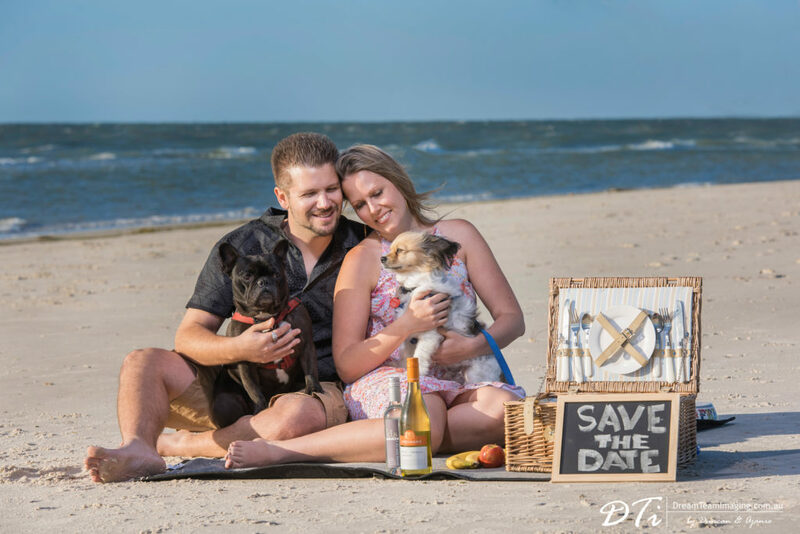 Both being huge animal lovers it was a natural decision to include their beloved two doggies in some of the photos. 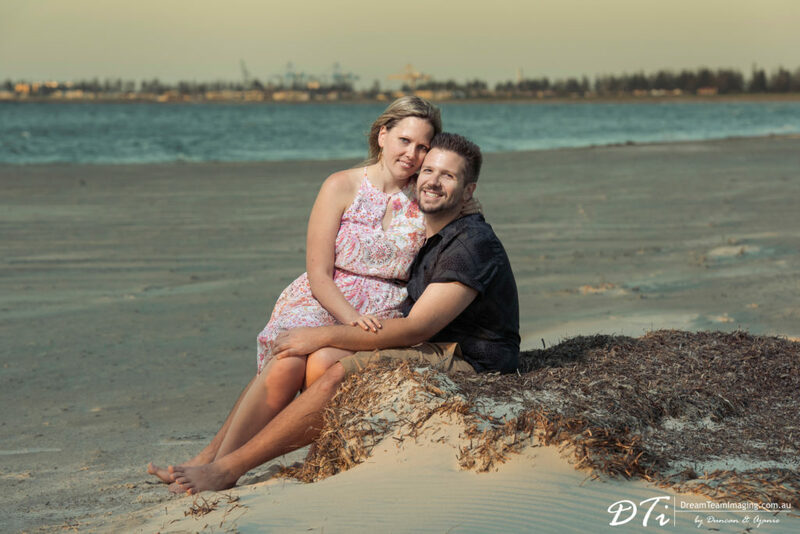 Have to admit, Erin & Damien, your smiles are way too infectious!